The Mitsudomo is representative of Shuri Te, Naha Te and Tomari Te which Sokon "Bushi" Matsumura brought together to form the system of Matsumura Shorin Ryu. Red represents the life long dedication that Matsumura Shorin Ryu requires "until it is in your blood." Black represents the Yudansha as we feel they are the future of Matsumura Shorin Ryu. 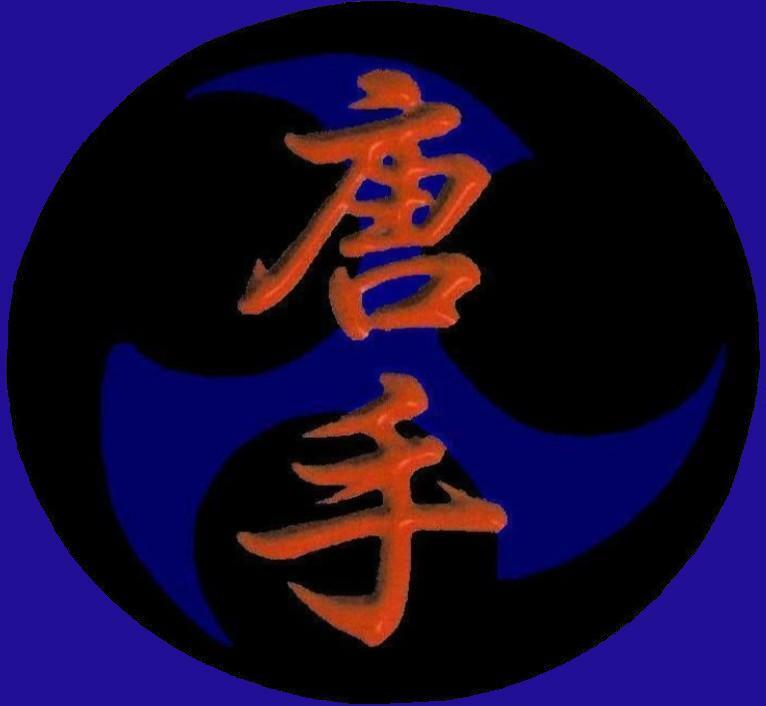 Blue represents Honor and Loyalty to the Matsumura Shorin Ryu family. The Kanji reads China Hand or Tode as the old style was known. We welcome comments so leave us one if you want to!